ONCE there was a King who ruled over human beings and animals. He had as his retainers not only human beings but animals also. The Cormorant was one of the animal retainers, and he was very proud of his appearance. He strutted about in the King's palace flourishing his long tail. Now the Cormorant had a beautiful tail: it was shaped like a V at the end and was covered with black spots as was the rest of the Cormorant's body. Why did you create a disturbance in my and why did you go away without my permission? ' asked the King, who was acting as the judge in the trial. "Your Majesty," replied the Gudgeon, "my ancient enemy the Cormorant, who was standing near the door in the throne room, frightened me by making eyes at me." As after due inquiry the Gudgeon's statement was found to be true, he was pardoned. As for the Cormorant, he was ordered to give a banquet to the Gudgeon that very evening as compensation for frightening the poor fish. That evening the Cormorant gave a banquet to the Gudgeon and plied him with drinks, until the fish fell into a drunken sleep. Then the sly Cormorant took off the Gudgeon's tail, and hid it in the fork of a tree, meaning to eat it later when the hue and cry for it was over. When the fish woke up in the morning and missed his tail and broke into tears, the Cormorant suggested that as the city was full of thieves, they surely had stolen the missing tail. The however, refused to accept the Cormorant, knowing him to be such a sly fellow explanation, matter to a Court of Law. 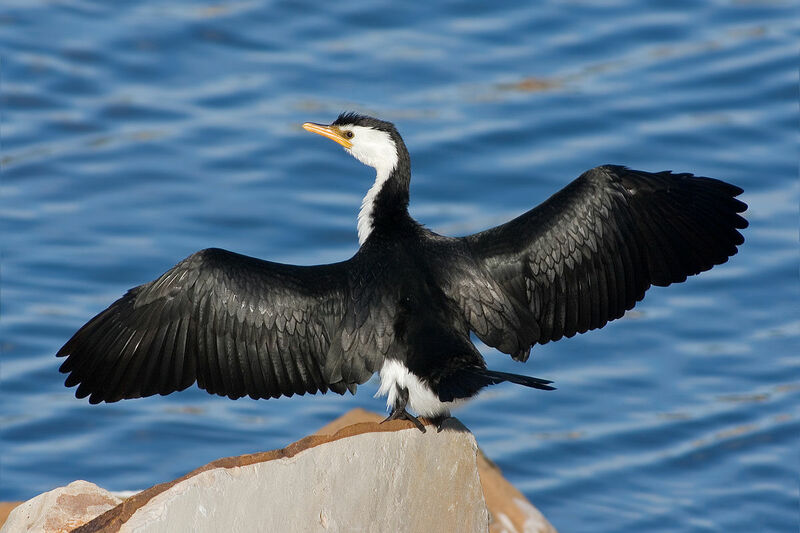 The Court took the after-hearing evidence, decided that as a host was responsible for the safety of the life and property to his guest, the Cormorant should surrender his tail to the Gudgeon as compensation. So, the Cormorant's tail was duly cut off, and joined to the tail stump of the Gudgeon. That is why the Gudgeon now has a tail shaped like a V at its end and covered with black spots so different from the rest of the Gudgeon's body. As to the Cormorant, he did not dare to take down the stolen tail from the fork of the tree and join it to his own tail stump, lest it should become obvious to the world that he was a common thief. That is why the Cormorant has no tail at the present day.